If you’ve been the victim of medical malpractice, you may be thinking that hiring a personal injury attorney for representation is enough. But that’s not completely true. In fact, a medical malpractice case requires the help of an attorney who is educated and experienced with the specific issues created by this type of case. Medical malpractice cases have a 2-year statute of limitations. Personal injury claims, meanwhile, have a 4-year statute of limitations. This means you must move much more quickly when it involves a medical claim. Which is easier with the help of an experienced attorney. This is especially true because of the “pre-suit” requirements discussed below, in point number four. Medical professionals frequently write records in a way that protect themselves and other medical professionals. This fact can make it difficult in certain circumstances to determine if there was medical negligence. A medical malpractice attorney can assess your case and be hyper-focused on “reading between the lines.” These skilled attorneys evaluate the timing and order of things in your medical records. They are also familiar with medical procedures and processes and understand what should happen and in what order. A medical malpractice attorney may be able to more easily spot something out of place or inconsistencies in the records. 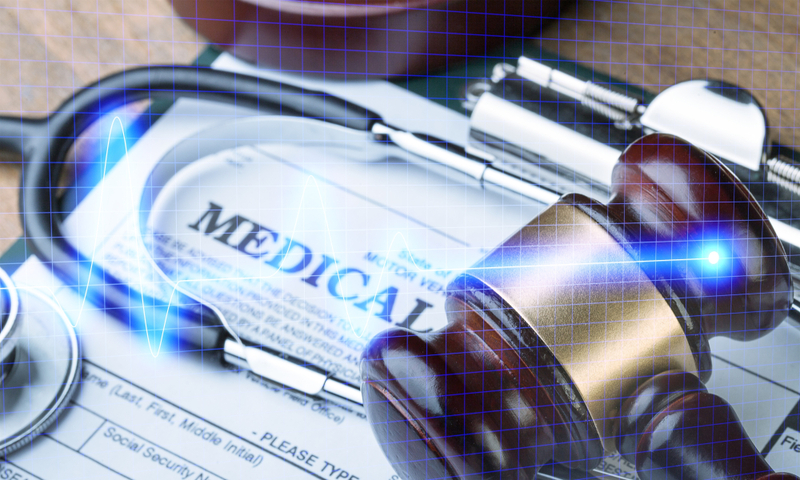 Medical malpractice lawyers specialize in proving affirmatively that there were “breaches of the professional standard of care.” This means that the medical provider did or didn’t do something outside the bounds of reason. This is the basis for medical malpractice lawsuits. It is not enough to prove that a patient had a bad outcome or a bad result. Instead, it has to be proven that a medical provider did something below the professional standard of care. Not all negative medical events are truly malpractice. So you need the help of an experienced attorney to focus not just on anything that led to a bad result, but more specifically, the potential negligent actions of the medical providers that led to the bad result. You also need an experienced medical malpractice attorney to focus on specific documentation of key facts in order to prove not just that something bad happened, but that it was caused by a breach of the medical standard of care. In some types of cases, “getting into court” is easy. With medical malpractice, though, it’s exactly the opposite. In the world of medical cases in Florida, there are specific things that must be properly documented before you can file a lawsuit. This includes a formal pre-suit investigation by the potential Plaintiff and providing a lot of information to the potential defendants before the case is ever filed. The requirements are numerous and stringent. Because of this, there are a number of ways for cases to “fall through the cracks”. This is why it’s important your lawyer is familiar with medical malpractice statutes and their requirements. With this in mind, it’s easy to see how medical malpractice attorneys are critical to the “pre-suit period”. Attorneys experienced with this type of case will be able to help secure investigations and opinions from medical expert witnesses, which are often required as an attachment to your formal pre-suit investigation. An attorney familiar with medical malpractice will also know which documents and information you will need to provide to the defendants as a requirement of the pre-suit process. Litigation is a complex procedural process, no matter the type of case. Medical malpractice is a complex factual area of the law. You need an attorney that can handle both the complexities of litigation and also understands how to manage the scientifically complicated nature of this type of case. The attorney you chose to consult not only needs to understand medicine, medical procedures, and the medical industry. But also be able to communicate the issues with your case simply and effectively. When it comes to finding a medical malpractice attorney, the first step is to locate someone you know you can trust. The key is to find an attorney specifically experienced with Florida Law and the specifics around medical claims. Need to get legal advice from an experienced team? At Ward & Barnes, P.A. we do not charge you a fee unless there is a recovery. Contact us today to learn more or to set up an appointment now!